Thinking & Drinking Includes American Craft Brewers From Every State, D.C.
More than 200 American craft brewers from across the U.S. have signed on to participate in Thinking & Drinking. PHILADELPHIA – Thinking & Drinking, the craft beer card game launching on Kickstarter later this month, today announced more than 200 craft brewers from across the United States have already agreed to be featured in the game. The growing roster of breweries also includes at least one brewery from each of the 50 states and Washington, D.C. 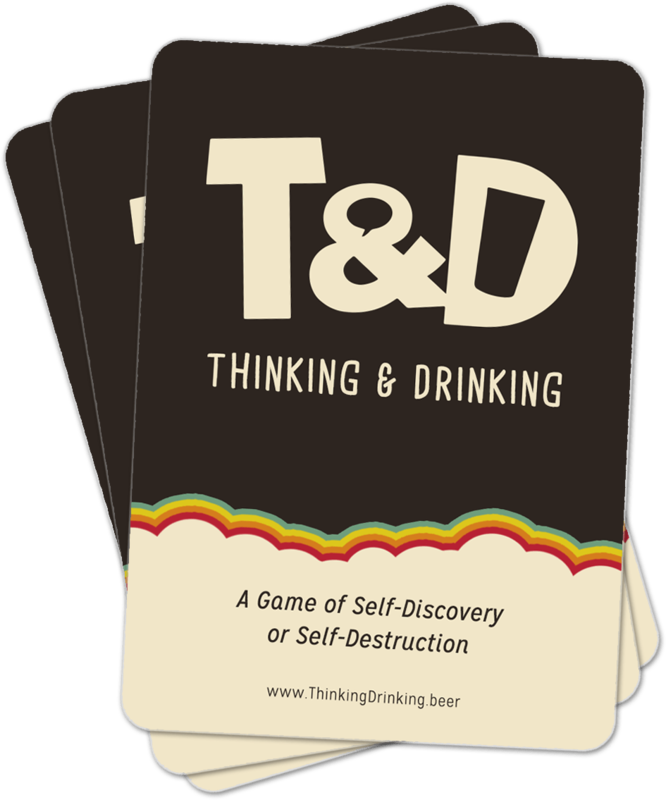 Thinking & Drinking is a game featuring more than 300 question cards that are designed to foster conversation among players. Each card includes the profile of a U.S. craft brewer – including a featured beer. With more than 300 question cards included in Thinking & Drinking there is still opportunity for brewers to participate and submit a no-cost profile for inclusion in the game. Brewers can visit www.ThinkingDrinking.Beer/Form to submit a profile.